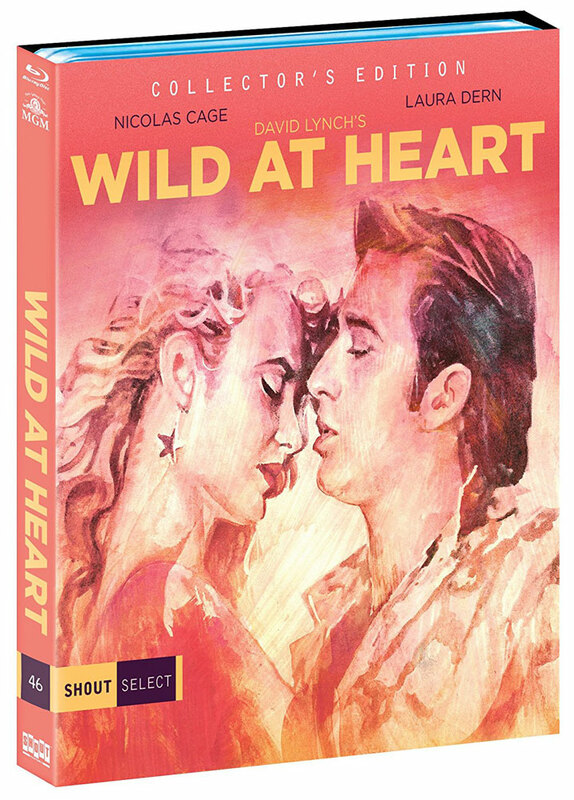 David Lynch’s Wild At Heart (1990) will release to a special Blu-ray Collector’s Edition from Shout! Select on May 22, 2018. The edition will include a new interview with novelist Barry Gifford who wrote book on which the movie is based, along with previously-released bonus material including 76 minutes of extended and deleted scenes, extended interviews, The Making of Wild At Heart, and other special features. Wild At Heart on Blu-ray is formatted in 1080p at 2.35:1 aspect ratio. We don’t know if the audio will have an upgrade to the DTS-HD Master Audio 5.1 soundtrack from the previous 2014 Blu-ray release, but it will include optional English SDH subtitles for the main feature. Lynch’s film was nominated for an Oscar in the “Best Actress in a Supporting Role” category for Diane Ladd’s performance. The film also stars Oscar-winner Nicolas Cage, 2-time Oscar-nominated Laura Dern, and 3-time Oscar-nominated Willem Dafoe. Additional actors working with David Lynch who star in the film include Isabella Rossellini, Calvin Lockhart, Crispin Glover, and Sherilyn Fenn. The screenplay for Wild At Heart was written by David Lynch based on the novel by Barry Gifford. Previous Previous post: Why Does Amazon Still Sell HD DVD Discs & Players?